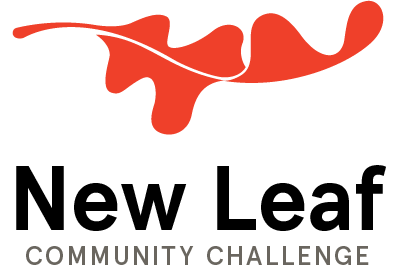 The Ottawa Community Foundation (OCF) launched the New Leaf Community Challenge (NLCC) in 2014 as an innovative way to identify and substantially support strategic approaches to pressing local issues. The NLCC process involves: a request for expressions of interest (REI); review of submissions by a knowledgeable committee to select the top three proposals; some support for the further development of the proposal and the pitch for the top three proposals; and the signature event — a juried process that takes place in the fall to select a winning proposal for a $125,000 grant. In addition, the learning we do on the issue chosen as the NLCC focus helps us better use other OCF levers (e.g., community grants, impact investing) to support ongoing progress in relation to that issue. The unemployment rate for Ottawa youth (ages 15 to 24) has been more than double the general unemployment rate for most of the past 10 years, and stood at 13.6% in 2016. The effects of youth unemployment on material wellbeing and mental health, and the associated costs to society, are both immediate and long term. Struggling to succeed at, and to build on, the employment experiences that they are able to access. The transition period after leaving high school (whether graduating or not) is critical. Better outcomes require improved communication around available options, and support (e.g. mentorship) for youth with limited “social capital” to facilitate next steps. Levers include existing curriculum and services, and more engagement /support of parents, teachers and counsellors. 2. A significant increase in successful outcomes from youth employment experiences and an associated reduction in the number of employed youth who return to unemployment. This relates to capacity for and effectiveness of follow-up. It extends beyond job retention per se, to include ways to further benefit the employee (better job conditions, career development, etc.) and the employer (access to training and support for improved performance, etc.). It may also involve better use of opportunities to learn from negative experiences. The following are the top three projects submitted for the 2017 New Leaf Community Challenge. Note that some proposals are collaborations between multiple partners. In those cases, the listed organization is the lead. PCC — which is the catalyst, convenor, trainer and evaluator. Through Get Into, young people improve their confidence, learn new skills and gain practical work experience, move into entry-level employment, identify opportunities for continuing education and begin the pathway towards a lifetime of opportunity. Get Into offers an effective and efficient recruitment process for businesses, and a strong transition to real jobs with real income for youth, leading to healthier communities. Get Into Ottawa will provide upwards of 60 youth with training, work experience and jobs. Youth Active Media (YAM) is a videography initiative that teaches high school aged youth, primarily from at-risk communities, to create short films about issues that affect their lives. Through the process of filmmaking, youth learn a range of core and transferable skills, including communications, script writing and critical thinking, as well as technical skills, including filming, editing, sound recording and lighting. The skills developed through the program increase the employability of young participants, while also giving youth an outlet to tell their stories and express themselves creatively. In addition, approximately 40 of the participating at-risk youth will be directly hired to co-deliver the program in other neighbourhoods, and to work on the Social Enterprise team. The social enterprise offers fee-for-service video services, primarily for the non-for-profit sector. In November 2016, Youth Now Canada leased 70 acres of farm land in Ottawa for the Youth Now Farm. Since then, project leaders have been leveraging existing partnerships and building new relationships to develop a collaborative community initiative for youth who face significant barriers to employment. Through this new initiative, young people (ages 15-24) who face significant barriers to employment will be referred through a variety of local partners and programs. Once in this program, youth will receive paid pre-employment training and a paid on-farm work placement; learn about developing and operating a social enterprise; access further career development opportunities, education and training supports; and develop and pursue a personal education/employment/entrepreneurship plan for successful transition to further education and/or employment post-program. A total of 90 young people ages 15-24 in the Ottawa area who face significant barriers to employment will benefit from this initiative. 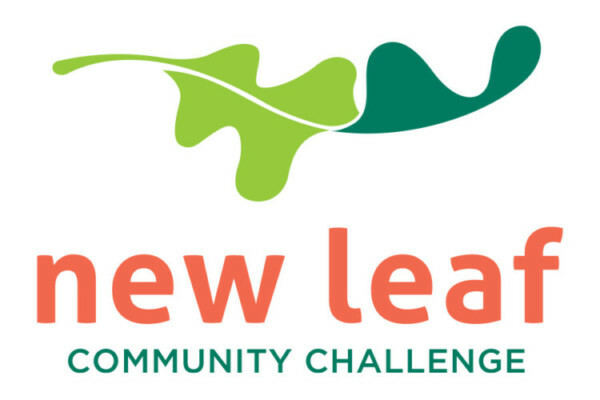 The 2017 New Leaf Community Challenge will be held Wednesday, November 22nd from 9 a.m. to noon, at the Bayview Yards. The event includes a presentation by each of the three finalists, followed by the jury decision. Click here to RSVP. More information about the event will be released in the coming weeks, including an invitation to guests and the media.